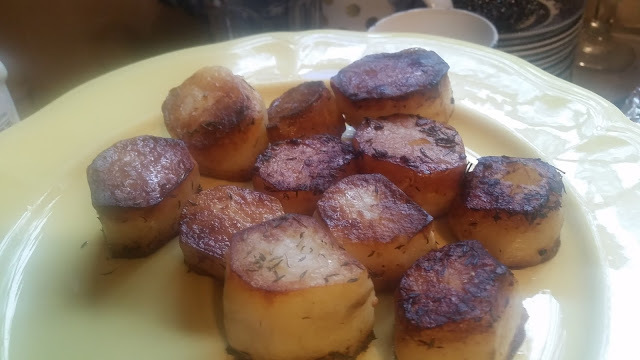 Garlic Thyme Fondant Potatoes a kounty delight yet elegant side dish that is delicious and different. taste never goes out of style Perfect for Dinner Parties or Feasts Days. I'll call them scallop potatoes because they look like little scallop when they are browning. 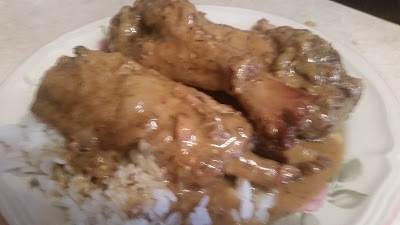 skillet to preheated oven and cook until potatoes are tender and creamy inside, about 30 minutes. If potatoes aren't tender, add 1/4 cup more stock and let cook 10 more minutes.